HomeUncategorizedWho knew our forklift was a monster? Who knew our forklift was a monster? Who knew our forklift was a monster? It’s a Tailift purchased from a local supplier here in Denver, Mile High Forklift, like us a family owned and operated small business. 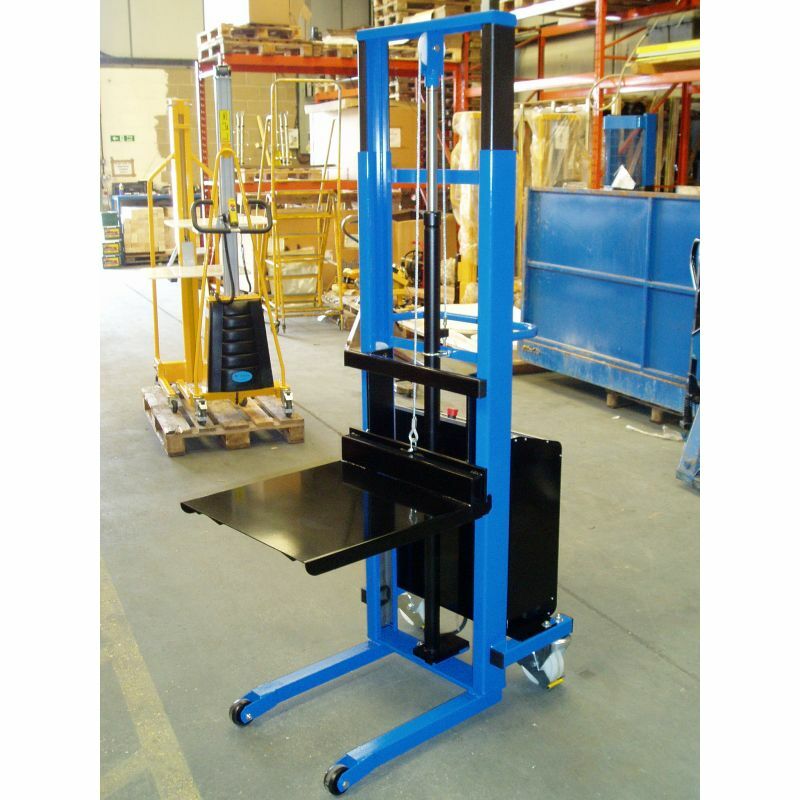 It’s capable of lifting 5500 pounds, which is adequate for most of our loading and unloading needs. 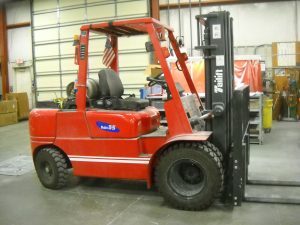 But when we think of big forklifts, we think of the those we’ve had to rent to handle 15,000 or more pound, large based or super tall crates, in some cases used in tandem with our Tailift to get the job done. But those have still been relatively small trucks; there are true monster lifts out there that have a 100,000 pound or better capacity. So how did our little red guy get dubbed a monster? 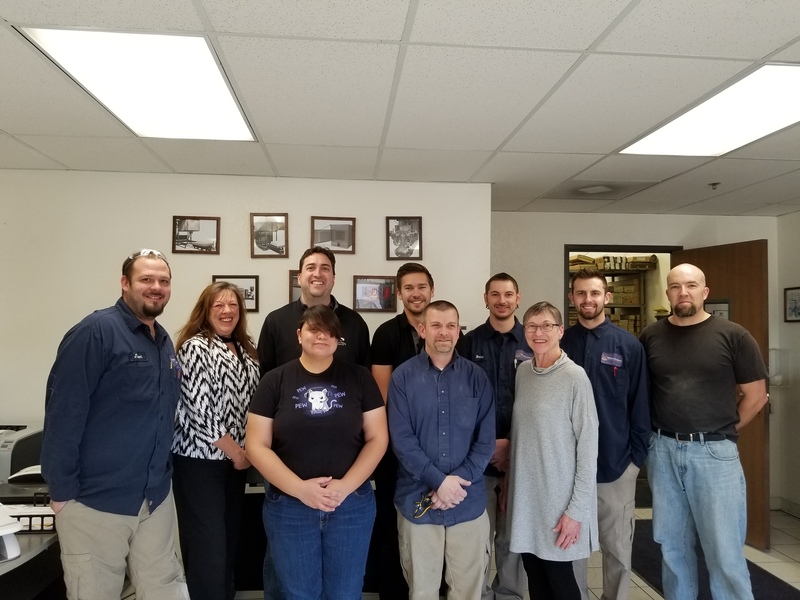 Today our Production Lead Bobby Duncan attended a forklift certification class conducted by the Colorado Safety Association. He reported that there were seven professionals in attendance, all of them working for companies with many times more employees than our current seven. One of the attendees devotes all of his time going from corporate site to corporate site conducting forklift training classes, and no one worked for a concern with fewer than 50 employees. Bobby supervises a crew of two, so you might think this would leave him feeling a bit left out. Not so; the others marveled at how big Deltech’s forklift is! Apparently the other companies had requirements for more light weight, small scale material handling of the kind which can frequently be accomplished through the use of a light duty lift like this pallet stacker (see photo left). But there were other surprises. Unlike Bobby who uses the forklift on a daily basis, some of these folks did so seldom or never. And then there was discussion of the difficulties brought into play by loading docks, and all were amazed to learn that Deltech’s facility doesn’t have one. The semis back into our driveway parallel to our receiving doors, and then out we go with the forklift to unload directly from the truck. Sometimes we have to take our little Tailift out into the street in front of our industrial complex; for example if we are side loading a a double drop flatbed. Whatever it takes to get inbound parts and materials downloaded and into our facility and to get outbound furnaces and parts loaded for transport and on their way to our customers. All of course while making sure that everyone involved follows best safety practices. Now we know that we have a monster material handling machine; it’s all relative to the size of the job that needs doing.